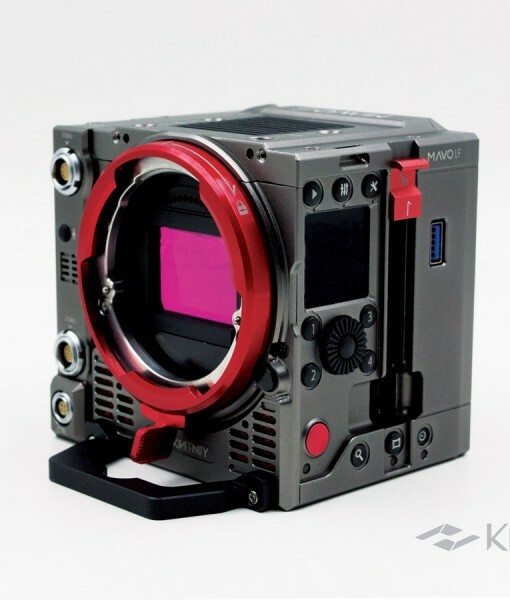 MAVO LF, with Full Frame 6K 3:2 CMOS sensor, brings cleaner images, wider viewing angles, shallower depth of field, and more immersive presence for cinematographers. 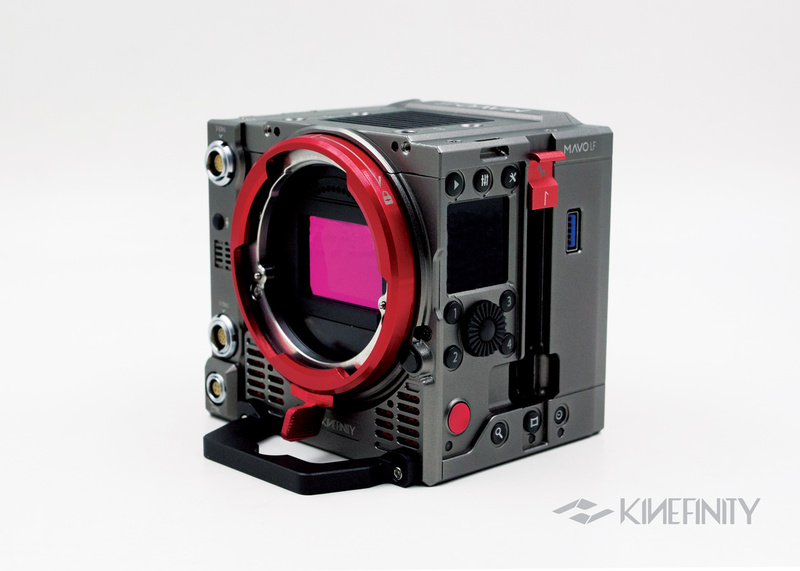 36x24mm full-frame CMOS image sensor like a huge canvas provides all possibilities on regular and anamorphic shooting . 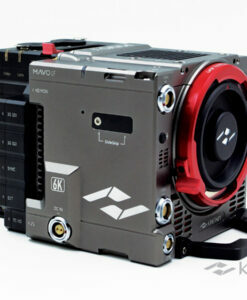 Dual Native ISO as 5120/800 and 6K wide 75fps turns MAVO LF into performance monster. 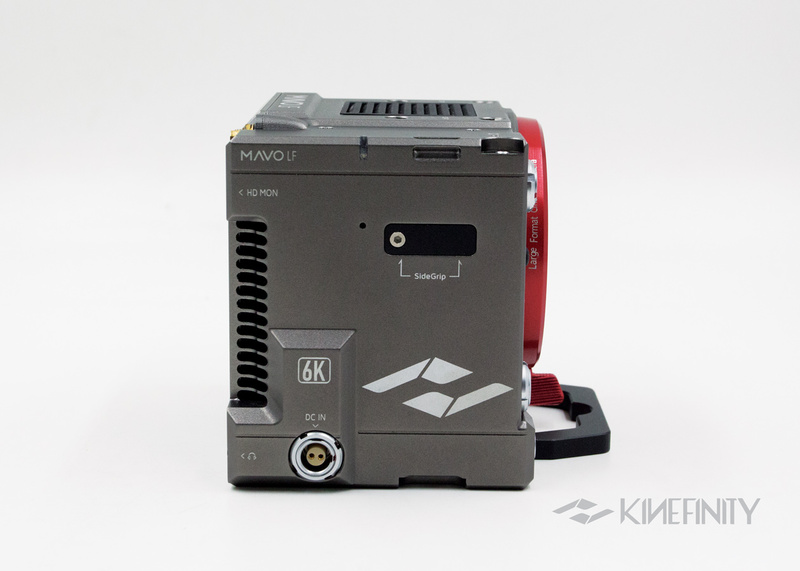 Native mount as KineMOUNT: please choose the Mounting Adapters for your lenses (No adapter is included in MAVO LF package). 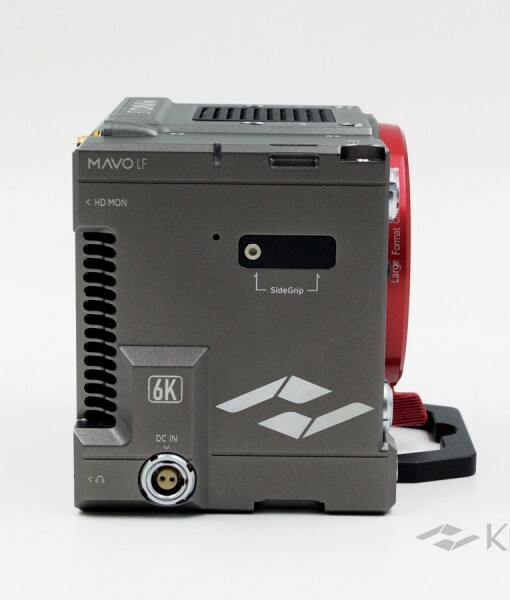 MAVO LF is in production with backorder date 4~6 weeks. 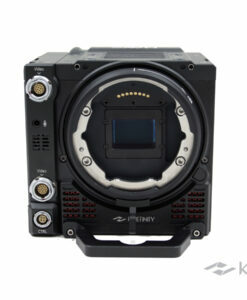 Category: Kine Cameras. 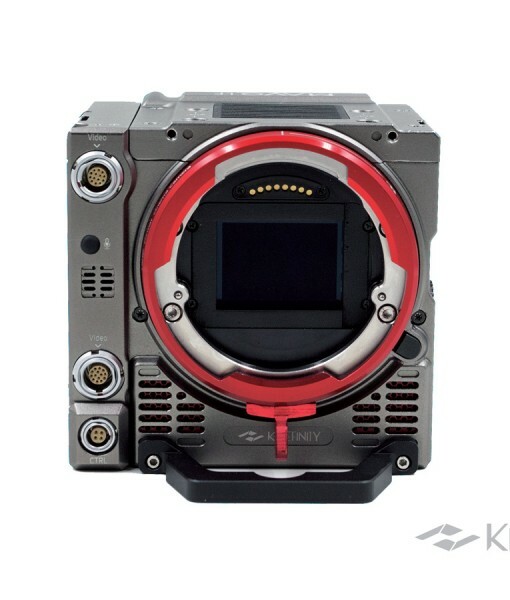 Tags: 4K, 4K, 6K, 6K, KineBACK, KineBACK, KRW, KRW, ProRes, ProRes, TERRA, TERRA. 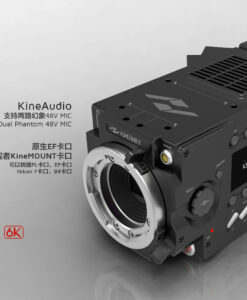 MAVO LF, new and large-frame cine camera, 6k 75fps with 5120/800 Dual Native ISO brings stunning details, organic image and exceptional image quality, which not only shows cleaner images but provides wider viewing angles, shallower depth of field, and more immersive presence. Furthermore, body weights only 990g. 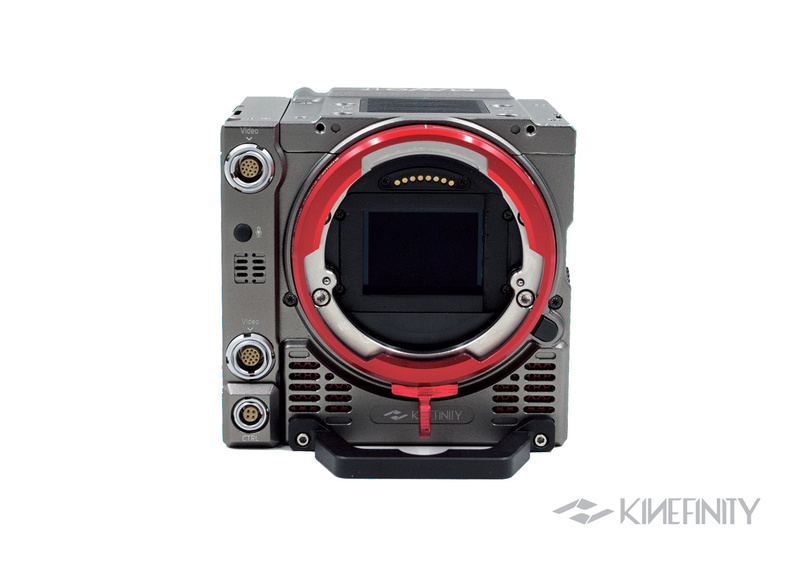 Full-frame 3:2 CMOS image sensor with 6K+ record resolution (even up to 24 million pixels with open gate recording), it works up to 75fps @6K Wide, 100fps @4K Wide and 200fps @2K wide and records ProRes4444XQ or compressed RAW as cDNG in-cam directly, to get a fast and smooth post workflow. 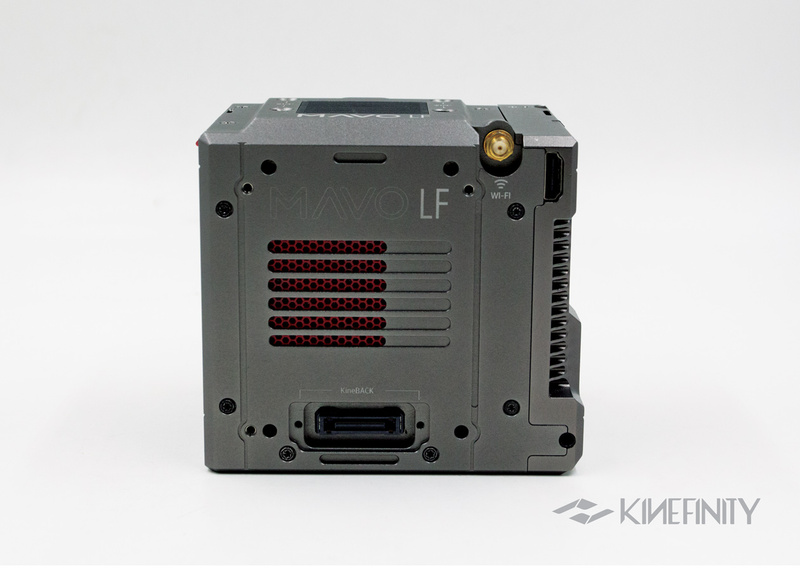 MAVO LF is equipped with a full-frame CMOS image sensor, effective area as 36x24mm, resolution is more than 6K: 6016×4016. 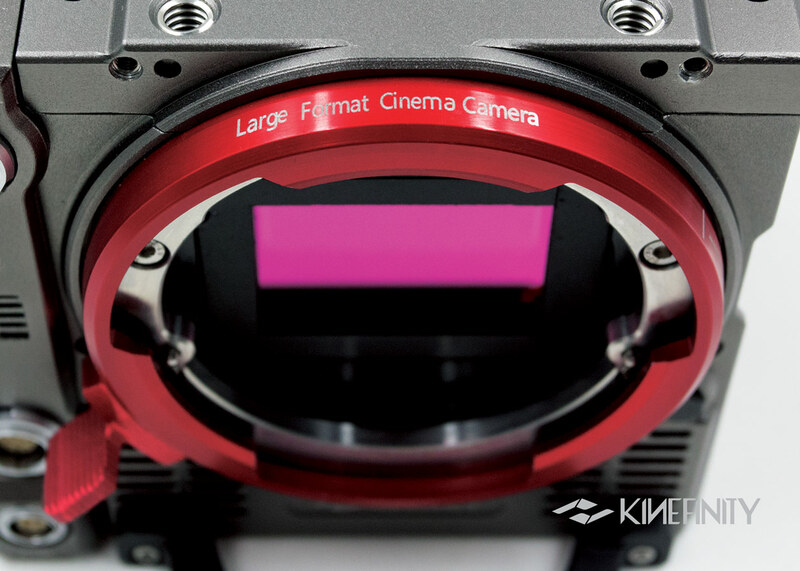 Compared to the S35 format sensor, the large format CMOS sensor is 2.25 times larger, the exposure area is bigger, the single pixel pitch is larger, the SNR is better, then the picture is cleaner. In addition, large format offers a wider perspective, shallower depth of field and more immersive presence. 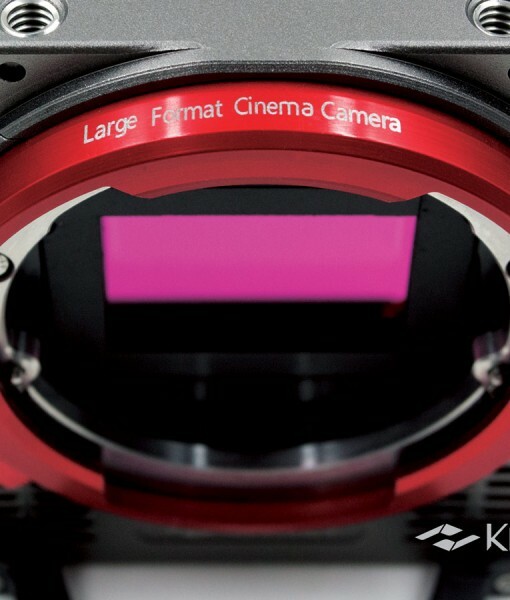 You can use not only cinema lenses designed for large format like MAVO Prime, CP3, Cooke S7i, Arri Signature Prime and Zeiss Signature Prime, but also a large number of existing full-frame still camera lenses. MAVO LF’s whole-new full frame CMOS imaging sensor, not only brings much larger pixel size, but also has dual native ISO: 5120 and 800. The noise performance of the big guy is much better than TERRA 4K. You can trust on its native 5120 ISO when low-light even no-light cases. 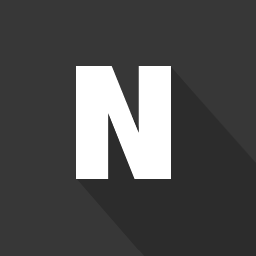 It helps indie filmmakers get the jobs done much easier and economically. 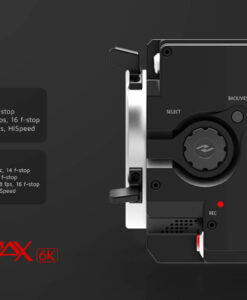 Even though MAVO LF adopts 6K+ image record and whole new low noise and high speed CMOS image sensor, weight of camera body is only 990g; its size is only half or third of other MINI cinema cameras. 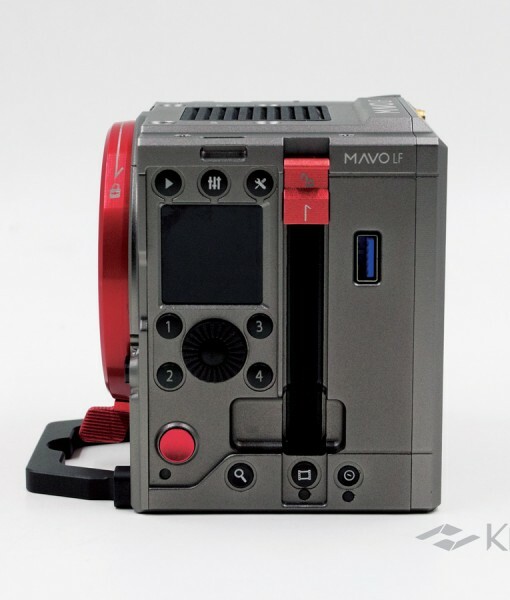 Due to its small form factor close to DSLR, MAVO LF works well with many gimbals, and also lowers the requirements on accessories, handheld operation for one-man band. 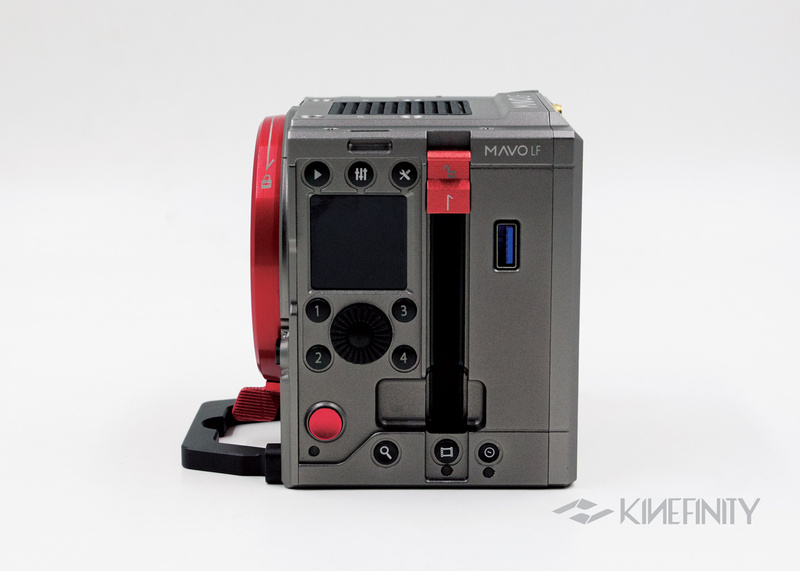 With SideGrip and 5″ fullHD KineMON, MAVO LF is ready for shooting. MAVO LF works up to 60-100min with its lightweight GripBAT (compatible with BP-U30). 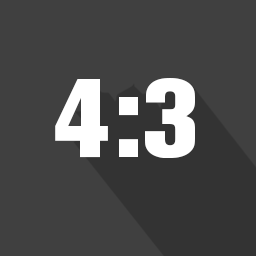 MAVO LF records up to 4K ProRes4444XQ even 6K ProRes4444 directly to get a super-fast workflow with very high quality footages: Apple ProRes is much better than codecs based on H264, and compatible with all post-workflow softwares. It also records compressed RAW as cDNG without external recorder. 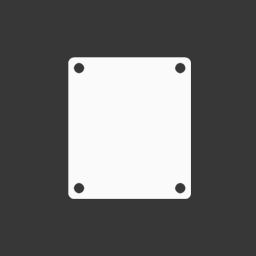 cDNG returns again in the form of an adjustable compression ratio. 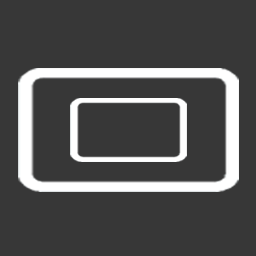 Current firmware supports three different compression ratios, 3:1, 5:1 and 7:1 respectively and all of them can get super image quality and enough room for grading. 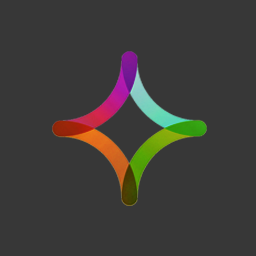 Davinci Resolve supports cDNG natively so that the RAW footage can be directly imported, edited and graded in DaVinci Resolve, simplifying the RAW workflow greatly. 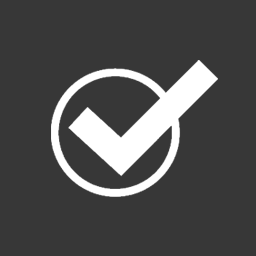 Besides, the following general accessory bundles for MAVO/TERRA are recommended for MAVO LF owners to set up camera and accessories into appropriate configuration. Discount on three bundles is up to from US $500 to $1000. Large Format MAVO LF keeps the tiny camera body and is compatible with most TERRA accessories. 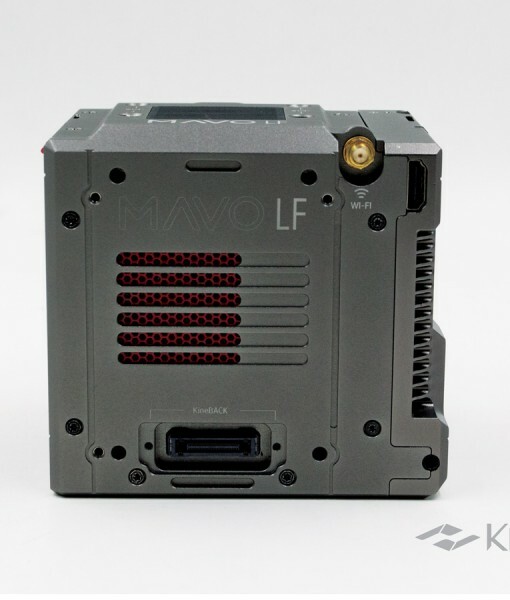 It benefits from MAVO LF’s advanced computation architecture and low-power design so that it packs such powerful performance into such a small and reliable body. Note: Frame Rate can be adjusted as 0.2~MAX fps, step accuracy of 0.001fps. 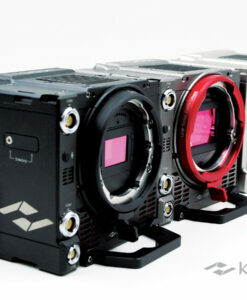 Note: ProRes4444 and 4444XQ does not apply for all resolution and fps.